Customizable tooltips: Users are able to customize the fields that are shown in the tooltip of all visual controls. Simply drag any data measure into the Tooltip bucket in order for that field to be shown in the tooltip. 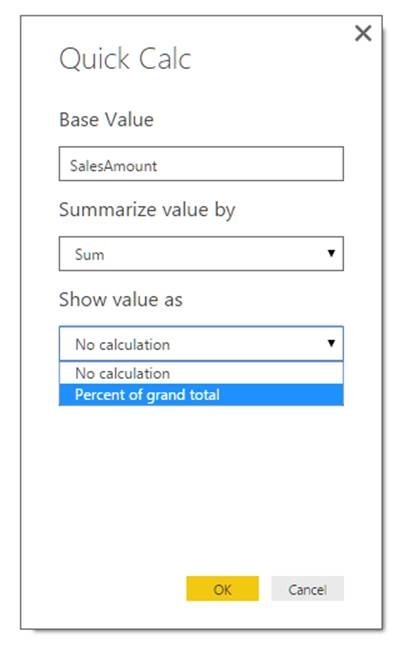 You can then further customize the value shown in the tooltip by selecting an aggregation function or a Quick Calc to be applied to the field when shown, by clicking on the arrow beside the field in the Tooltips bucket. Conditional formatting in tables:allows users to color cell backgrounds based on the value of the data in the cell. To access conditional formatting settings right click or click the arrow of the measure you want to format.Then you can configure the color and the min/max values associated. Scrolling loads more data in charts: If there are more data points than we can fit nicely in the chart, simply move the scroll-bar all the way to the right and if more data is available it will automatically be loaded and the chart updated. Improved relational database connectors with Display Schema information. 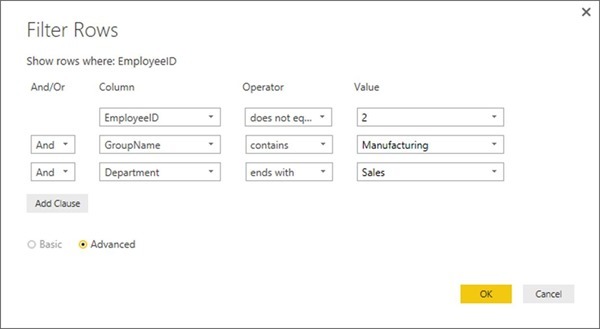 Data Source Settings enhancements Users can now easily update the “location” of a data source for all queries connecting to that data source within a single Power BI Desktop report. Within the “Data Source Settings” dialog (File -> Options and Settings -> Data Source Settings), there is a new “Current File” scope, which allows users to limit the list of data sources displayed to only the data sources used in the current file. 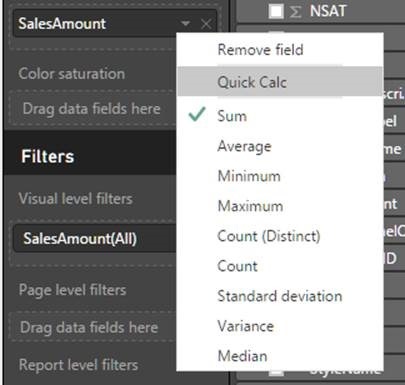 Advanced “Filter Rows” dialog mode: This new mode allows users to add multiple filter clauses within a single Filter Rows step (previously only 1-2 clauses were allowed) and also combine filter clauses based on multiple columns (before, all clauses were applied to a single column). 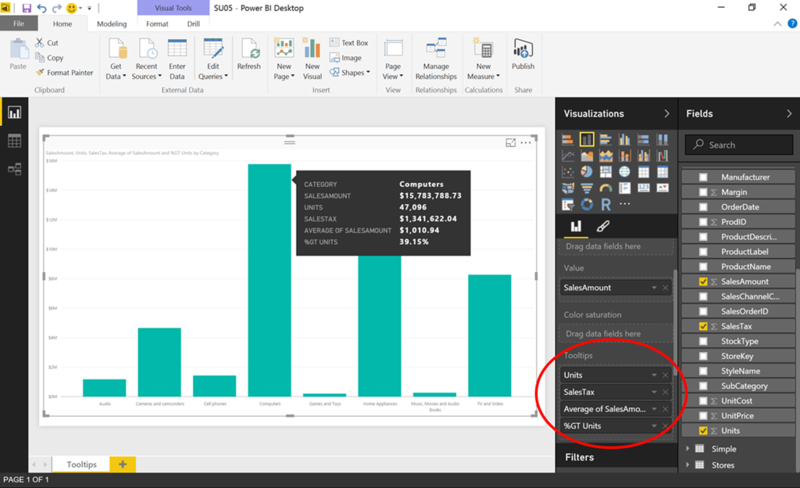 Ability to “Save As” a Power BI Template: sers can now save as a Power BI template file from within the “File -> Save As” dialog. This will create a “.pbit” file that contains the definition of the report (including queries, model and report) as well as the data in the data model and the current parameter values. Update on UPN Mapping: you can use CustomData property to connect to your Analysis Services data sources.